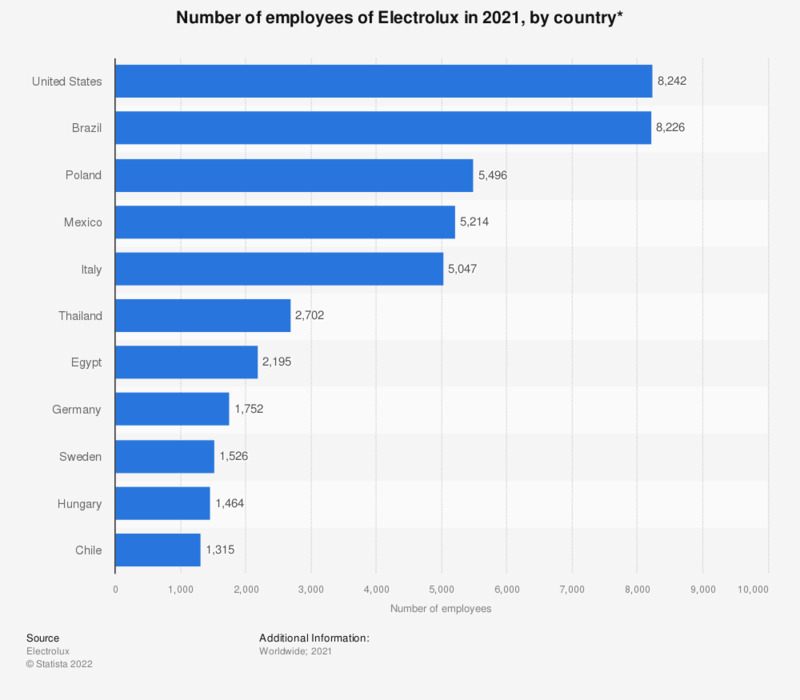 This statistic shows the number of employees of Electrolux in 2018, by country. Electrolux employed more than seven people in Brazil in 2017. In total the Electrolux Group had more than 54 thousand employees.